Get Covered Illinois is hard at work to get residents enrolled under the Affordable Care Act (ACA) before the March 31 federal health coverage deadline. To do this, Get Covered Illinois is working with an exciting new partner, Onion Labs, the creative services of The Onion, geared towards a young, hip demographic. “We know that to effectively reach ‘Young Invincibles’ – who are 53 percent of our uninsured residents in Illinois – we have to work with non-traditional, and especially digital, sources for news and entertainment. That’s where The Onion fits right into our outreach strategy,” Get Covered Illinois Executive Director Jennifer Koehler said. The partnership calls for The Onion to run banner ads on its website featuring a man who is forced to sell his action figures to pay his medical bills because he failed to get health coverage. The Onion will also create a video, an editorial and a custom “news” section about GCI that will appear online. 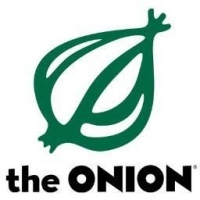 “This is a great opportunity for Onion Labs to work with Get Covered Illinois, and do what The Onion does best – create irreverent-yet-relevant comedy and put it to work for an organization that wants to reach millennials,” Chief Executive Officer of Onion, Inc Steve Hannah said. The next key enrollment deadline is February 15 as the last date that consumers can apply for coverage beginning March 1. The full enrollment period for the Marketplace lasts six months and runs through March 31. Visit our website at www.getcoveredillinois.gov (Spanish version included) to learn more about taking advantage of GCI’s healthcare assistance platforms.